DataSunrise Database Security Software secures the databases and data in real-time with high performance. DataSunrise solution is a last line of defense against unwanted data and database access from outside or inside. Work for DataSunrise Database Security? Learning about DataSunrise Database Security? What Database Security solution do you use? DBHawk provides seamless access to heterogeneous database platforms. Its central database security, access control, and auditing capabilities allow companies to comply with regulations. Its many flexible customization features make the total value of ownership much higher than any other SQL Data Analytics/Business Intelligence tools in the market. Oracle Advanced Security provides two important preventive controls to protect sensitive data at the source: encryption and redaction. Together, these two controls form the foundation of Oracle's defense-in-depth, multi-layered database security solution. SecureSphere Web Application Firewall (WAF) analyzes all user access to business-critical web applications and protects applications and data from cyber attacks. A highly scalable database security platform that enables organizations to secure their relational databases and big data stores, both on premises and in the cloud, with a distributed architecture and enterprise-level analytics. Acra enables selective encryption and provides data protection in distributed applications, web and mobile apps with PostgreSQL, MySQL, KV backends. DB Networks DBN-6300 deep protocol inspection – together with our patented machine learning and behavioral analysis technologies – non-intrusively discovers all of your databases, pinpoints compromised credentials, and protects your data by immediately identifying database attacks. SecureData provides a flexible range of native interfaces, REST and Simple APIs, to enable easy integration across applications and systems, from legacy databases to mobile, web, and IoT. * We monitor all DataSunrise Database Security reviews to prevent fraudulent reviews and keep review quality high. We do not post reviews by company employees or direct competitors. Validated reviews require the user to submit a screenshot of the product containing their user ID, in order to verify a user is an actual user of the product. Hi there! 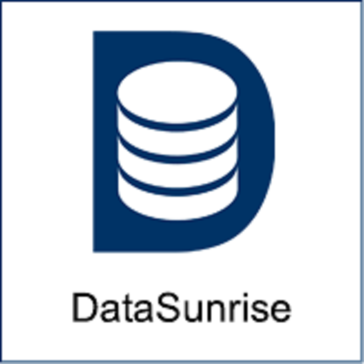 Are you looking to implement a solution like DataSunrise Database Security?